(Dried Apricots) The dried apricot halves in this photo have been sulphured during the drying process in order to preserve their color. 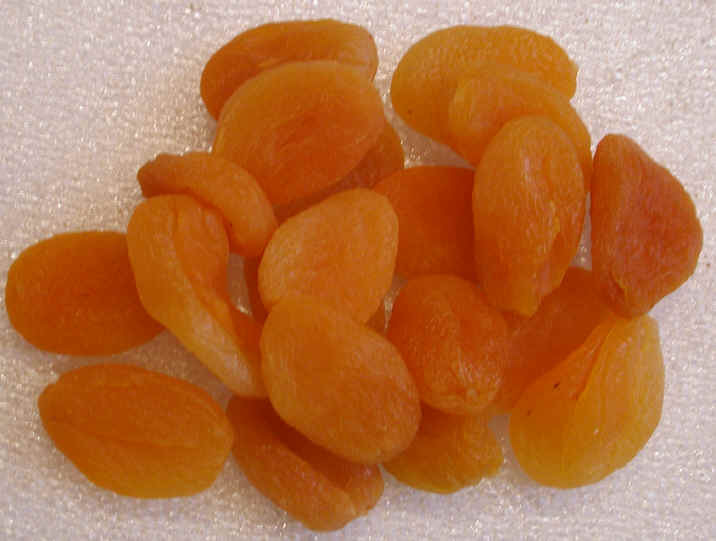 Unsulphured dried apricots (brownish colored) are available in health food stores and from food co-operatives. Dried apricots are great for snacks. 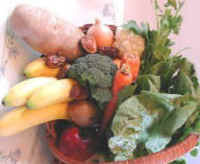 See the nutritional chart below.